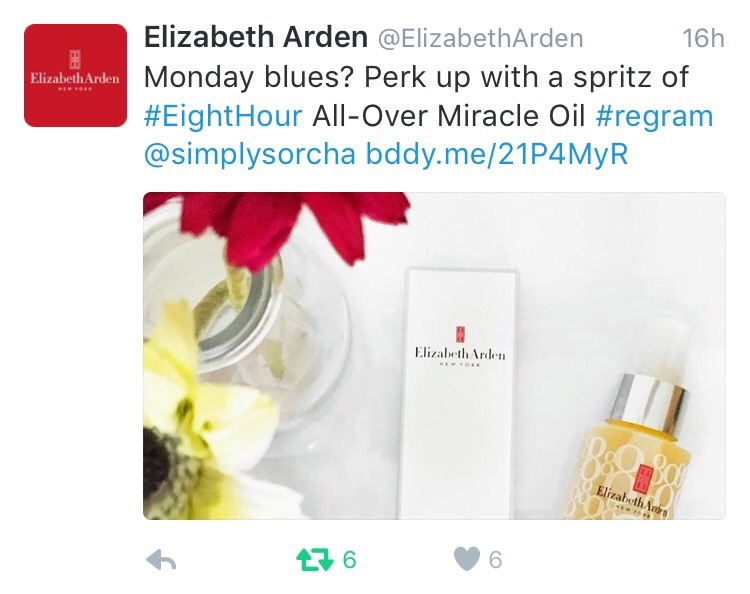 If you read my Monday Motivation blog post yesterday, you’ll know I was having a bit of a meh day. I was feeling a bit blah and in need of a lift somehow. And I got it! 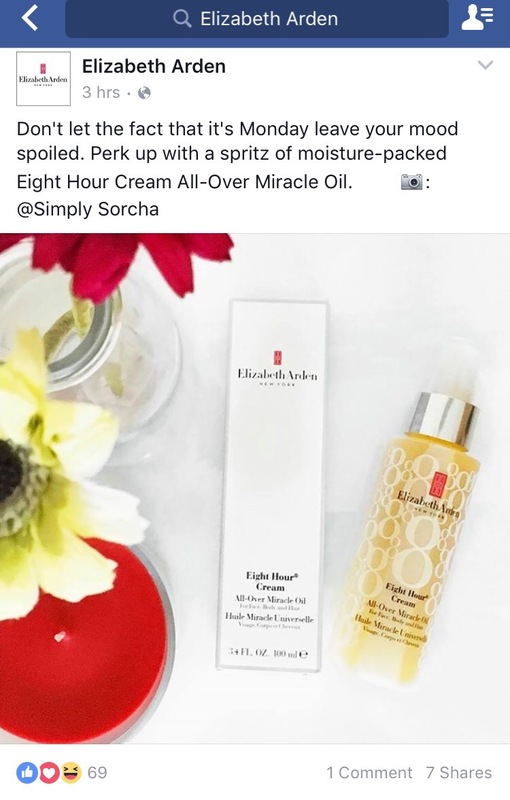 Yesterday afternoon I got a notification from Elizabeth Arden that they loved one of my photos of their new Eight Hour Miracle Oil and wanted to use it on their social media sites. I was so excited! I’m certainly no photographer, in fact, the whole world of photography is a real learning curve for me, but given my love of Instagram, I try to make an effort to create pretty pictures. Anyway next thing I know, they had shared the photo on their Facebook, Twitter and Instagram pages and it made me feel great. It’s such a small thing, I mean it’s only a photo I know, but there is something in a small victory that helps you to keep going. You see, I’ve been having a bit of bloggers block the past few weeks. I’ve been questioning and second guessing myself, asking myself is there even any point in doing the blog. It’s a confidence thing I guess, plus sometimes you just worry that you’re boring people or that they are not even reading at all. So this really gave me the lift that I needed. My blog isn’t specialised like other blogs, I love makeup so I write about beauty products; I love shopping and eating out so I write about what I buy and restaurants I go to; I love going away so I write about travel; I just got married so I write about weddings; and, sometimes I just love writing about random thoughts in my head. I’m not just a beauty blogger, or travel blogger or lifestyle blogger, I’m a little bit of everything, maybe that will work for me, maybe it won’t. I’m still figuring it all out and have no idea where I’ll end up really. But yesterday gave me that small little push to keep going. 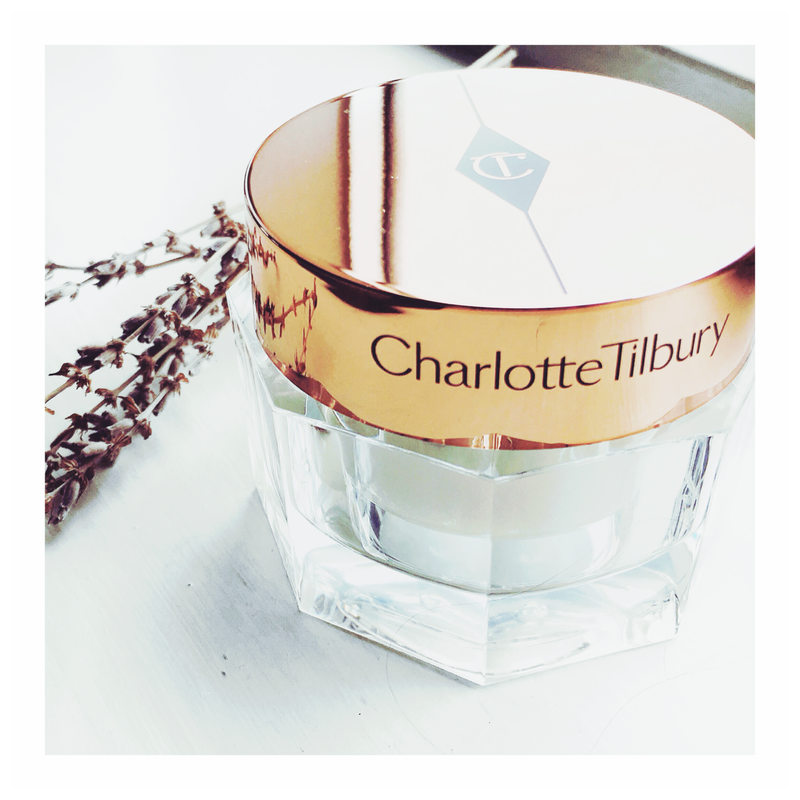 What’s more, Charlotte Tilbury then also contacted me to say they wanted to use this picture in their social media and marketing materials. So if ever there was a sign from the blogging gods, I think yesterday was it! I’m sure I’ll have days like this again, there will be many of them no doubt. But like yesterday, once I realise that there are victories in the little things, and not to take things so seriously, then hopefully I’ll be able to snap myself out of it and keep writing. Afterall, it’s the little things that mean the most. That’s amazing! I’m really happy for you 🙂 The photos are great, I can see why they contacted you. I had already noticed that brands love ‘flat lay’ type of shots, if you’re good at it and enjoy shooting these kind of images, I guess you should keep doing them. I think that writing about things you love is what makes a blog stand out, your content is genuine and that is what makes people relate to it and come back to read more. Such kind words Ines thank you, and it particularly means a lot coming from someone like you who clearly has such a talent for photography! 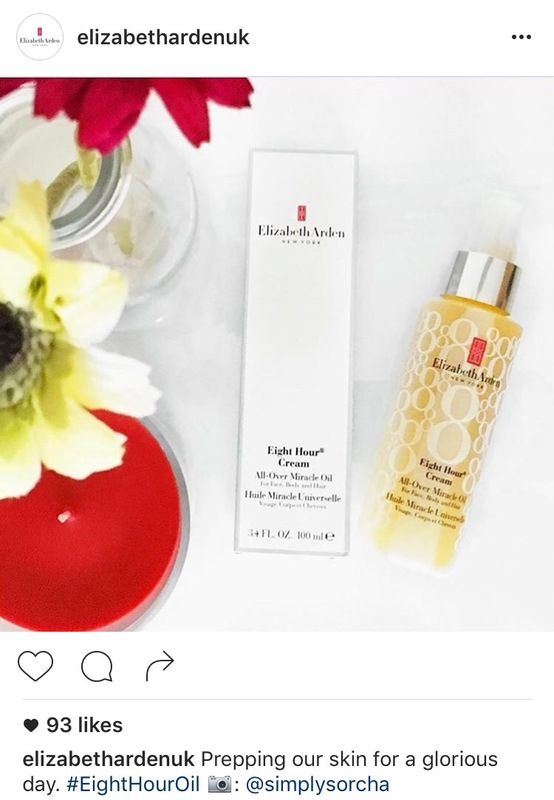 I’m no expert at all but have noticed that brands tend to like that style as you mentioned.